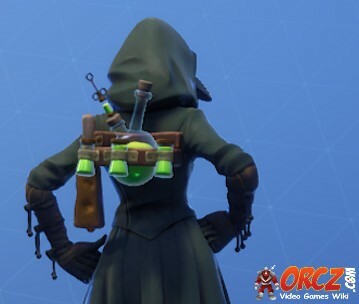 Arcanum is a Back Bling you can have in Fortnite Battle Royale. Buy the Scourge Outfit from the Item Shop. The Scourge Outfit is an Epic outfit that costs 1,500 V-bucks to buy. This page was last modified on 2 April 2019, at 19:22. Content is available under Creative Commons Attribution Non-Commercial Share Alike unless otherwise noted.